File photo of the ID scanners that are compulsory for pubs and nightclubs in safe night out precincts open past midnight. A GLADSTONE hotel owner wants the review on the State Government's compulsory identification scanner laws to explore the impact it has had on regional pubs and businesses. The new rules were brought in on July 1 last year, as the Queensland Government's way of making club precincts safer. Gladstone's Central Lane Hotel owner Rick Adams said he had to reduce some of his employees hours to afford the "tens of thousands of dollars" in costs his business incurred as part of the new rules. The changes, which affect clubs and pubs in the state's 17 safe night out precincts, meant the CBD club needed an ID scanner for the downstairs pub which is open with gaming facilities past midnight seven days a week. The Queens Hotel was also forced to purchase the ID scanner. Mr Adams said the additional costs were from operating the scanners, and outsourcing a security guard to check IDs from 10pm to 5am seven days a week in the downstairs bar. Previously IDs were checked by bar staff. "We have incurred tens of thousands of dollars in expenses that we cannot get a return in investment on," he said. An independent review of compulsory scanning is scheduled to report back to the Queensland Government in October. Mr Adams said it would be more suitable if it was compulsory to operate the scanners at the downstairs pub on Friday and Saturday nights. He said the State Government did not properly consult regional businesses before rolling out the regulation. "The reality of it is, the scanners do serve a purpose but the one size fits all policy the government used for the roll out didn't work." 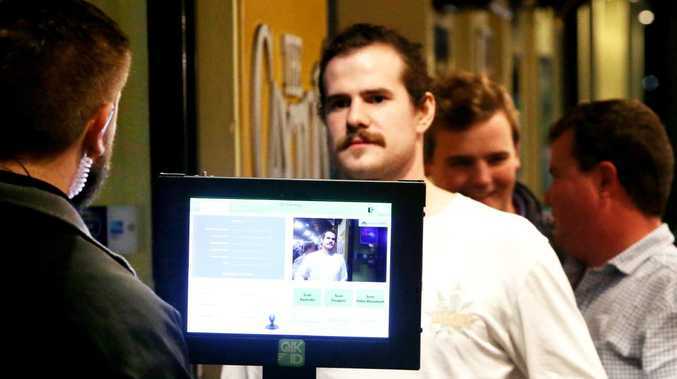 The scanners allow clubs to share information about people who are banned from a premise for anti-social behaviour.